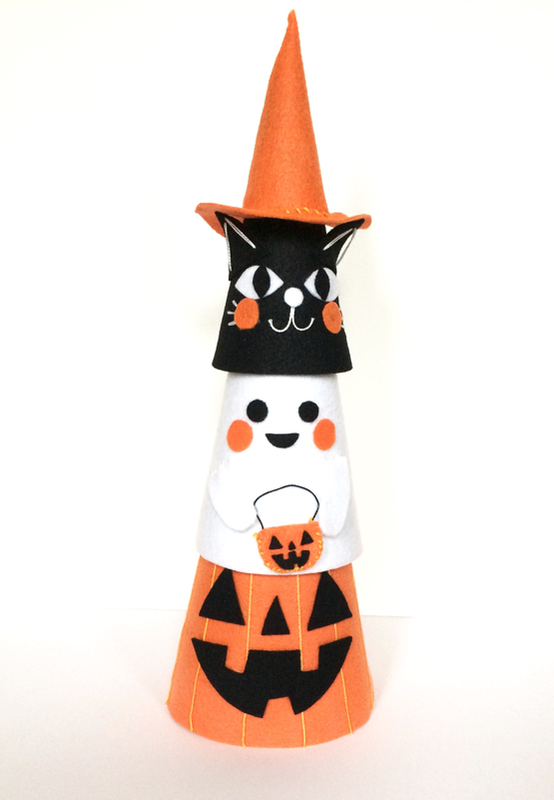 Oh how I love Halloween it's definitely my favorite holiday and favorite time of year, I was tasked to create something with this felt given to me by Kunin Group Felt. 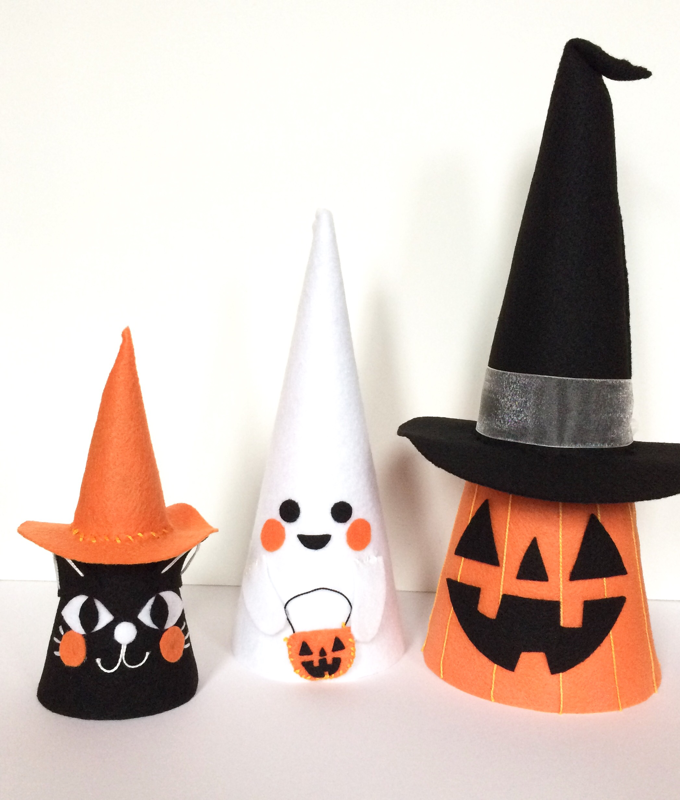 I thought these stackable cone characters would be perfect to decorate with. 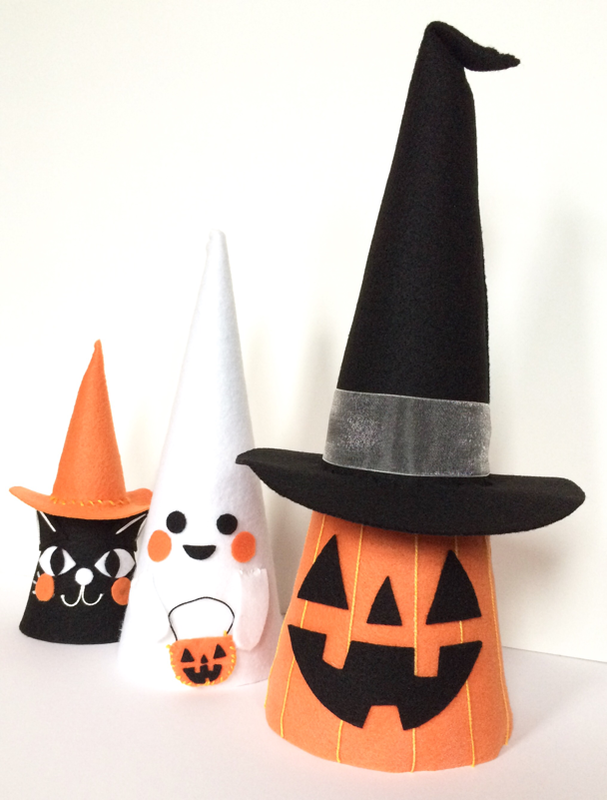 I had some papier-mâché cones and went nuts with the felt. How much do you love Halloween? Enough to check out the full tutorial? See how to make these Halloween cone friends here at hellowonderful.co.